Drag the zip file downloaded in step 1 to the text area and press the ‘Install plugin from ZIP file’ button. You are then presented with the settings page that should be filled with values from the widget settings page. 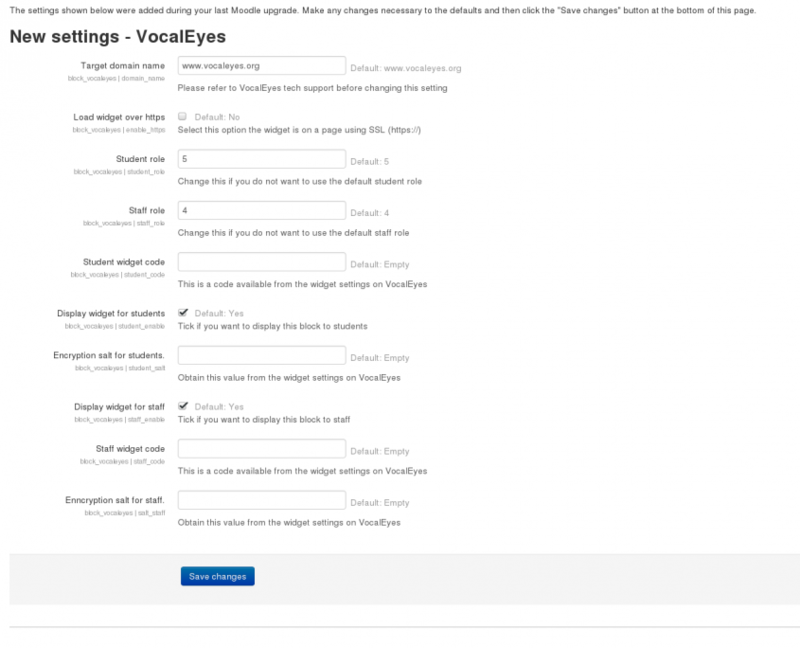 The visibility of the block may be controlled using the settings page on a student or staff role basis. 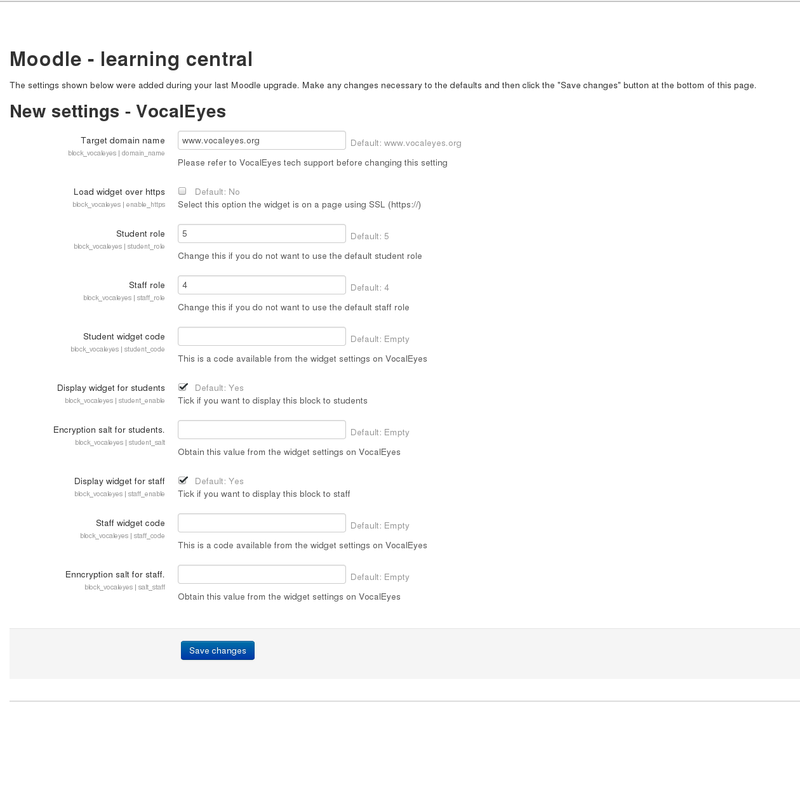 This block maybe added to any Moodle page.